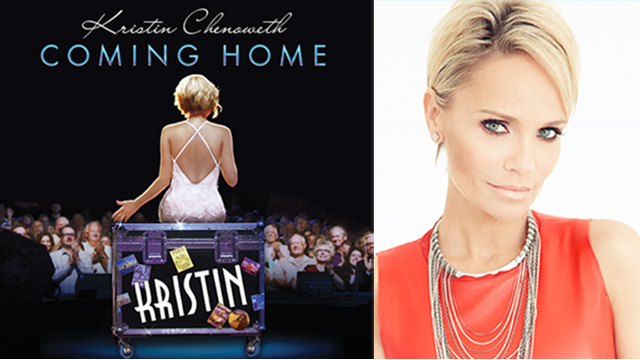 In addition to hosting the PBS Arts Fall Festival this season, Kristin Chenoweth’s special, Coming Home, premieres Friday, November 28 at 8pm on OETA. The Emmy and Tony Award-winner returned to Oklahoma for an unforgettable concert of favorite songs from her career. We asked her about the new special and album, what makes Oklahoma a special place and her Master Class mentorship plans to help future generations of performers. Congratulations on the new special and album, Coming Home! What inspired you to bring your latest project back to your hometown, Broken Arrow, and what was it like performing in front of family and lifelong friends? I wanted to perform it at home because I actually couldn't imagine doing it anywhere else. Knowing the concert was being recorded as a live CD and filmed for PBS, I thought what better place than in my home town. We have a new performing arts center with a theatre that bares my name. I just couldn't see it being done anywhere else. It's always nerve racking to perform in front of people you grew up with. I think it's much easier to perform in front of strangers, but this audience included people who have watched me go through many phases in my life. So, it was scary, but also invigorating at the same time. It seems that our state has a higher than average number of talented people. What do you think makes Oklahoma such fertile ground for quality artists and performers? Because I don't think anyone can say that people from Oklahoma aren't real. And when you sing, you sing from a real place. It's all from our hearts. ONR, OETA’s news program, profiled your master class where you mentor aspiring young singers in Oklahoma. How did this unique program become a reality? What are your hopes for its future? I remember when I was younger and we'd have people come into to OCU from New York. I was a senior at Broken Arrow High School when I saw my mentor, the great Mrs. Birdwell, teach a master class. I knew she was going to make changes in my life, and that she did. When it came time for me to figure out how to give back, I knew I wanted to follow in her footsteps. And I wanted to give master classes to kids who might not get the opportunity. It's now a tradition and one that we'll have annually and will evolve into a summer arts institute camp, at the Kristin Chenoweth Theatre. I can't imagine being more proud of anything I've ever done in my life. Finally, what was it like working with Elmo as Ms. Noodle on Sesame Street? I watched Elmo as a child growing up and had so much fun working with him by playing Ms. Noodle. I like that Elmo tells the Noodle family what to do. He is really the voice of the children. And the children have to basically mime out what he is saying. Not only is he lovable and cuddly, but I love the pitch of his voice. It's actually higher than mine! Click here to preview Kristin Chenoweth: Coming Home, airing Friday, November 28 at 8pm on OETA as part of PBS Arts Fall Festival. Thecompanion album of the same title is now available.